They look even better in real life! In the same purchase I acquired a pair of snakeskin pumps. Now my tendency is to wear flats, but I’m a lady and so love a pair of pretty heels! 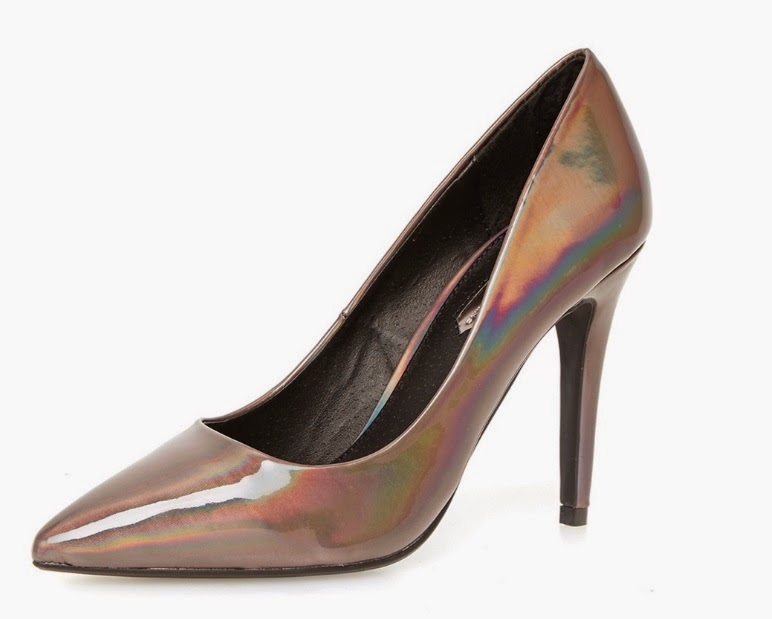 So how could I resist a metallic bronze pair, on sale! They were calling out to me, they needed a home, it would have been cruel to leave them on the website. So I housed them, both. The flats will get me to and from the party, the heels are to be worn while everyone can remember their shiny beauty (at the beginning of the night)! Attractive comfort, the life-boats that will rescue my feet. But wow, it feels wonderful to tackle the bronze beauties off my toes and replace them with the seemingly spacious snakeskin pumps! Dinner might be quite quick this evening! Buying a house is like online dating. I say that having had experience of both. Before having met The Incredible Davey (he requested a superhero pseudonym, we shall refer to him as TID henceforth) I discovered that in order to be an effective online dater, you need to date like a man... by having at least three men who you're going on dates with at a time (not all together). It means that if one isn't as responsive as you'd like or you decide you don't like another, there are still two more to keep you amused. And the same applies when looking for houses! 1. You do both online. 3. You need to be prepared to have your heart broken. 4. It takes hours of trawling to find one that you might like. 5. The photo's are often misleading. We'd initially thought to give ourselves some time to live in the house before decorating, you know, to get to know the space and how it'll be used... two months in and the dining room is first up! It's pretty obvious, we're going to be eating in there! It was an easy decision (we both agreed with each other) the walls were going to be a dark blue, both have pretty much floor to ceiling windows next to them, so we weren't too worried about the space feeling dark. Farrow & Ball's Hague Blue was our first choice... so we got a sample. And samples of Stifkey Blue, Drawing Room Blue and Pitch Blue, you never know what it's going to look like on the wall... although the colour samples are a pretty good indication. Some-how we’ve navigated the quagmire of housing options, unravelled the tangled knot of estate agent ‘truths’, avoided injury / illness from some of the houses we’ve seen and eventually found something that we both like, in our price range! Lactose free & delicious! - What?!? My first foray into quinoa!